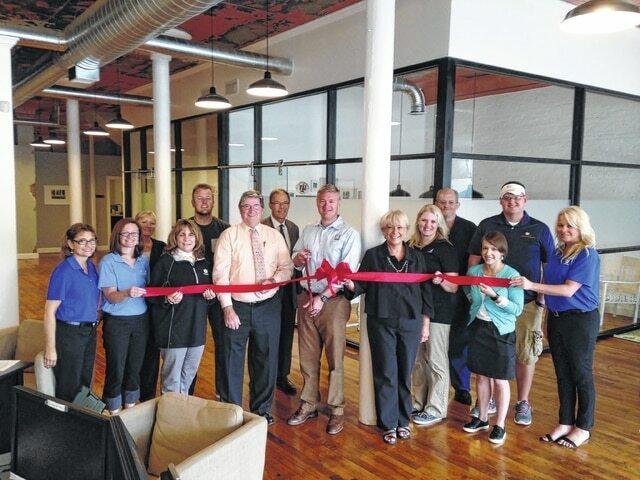 Jamon Sellman Agency owner Jamon Sellman and county Chamber of Commerce Director Sandi Arnold are surrounded by Nationwide staff and others in the community Sept. 29 as the agency celebrates a renovation with a grand re-opening and ribbon-cutting. For details on this event and/or upcoming chamber events, call 937-653-5764 or visit www.champaignoh.com. https://www.urbanacitizen.com/wp-content/uploads/sites/36/2015/10/web1_Jamon.jpgJamon Sellman Agency owner Jamon Sellman and county Chamber of Commerce Director Sandi Arnold are surrounded by Nationwide staff and others in the community Sept. 29 as the agency celebrates a renovation with a grand re-opening and ribbon-cutting. For details on this event and/or upcoming chamber events, call 937-653-5764 or visit www.champaignoh.com.